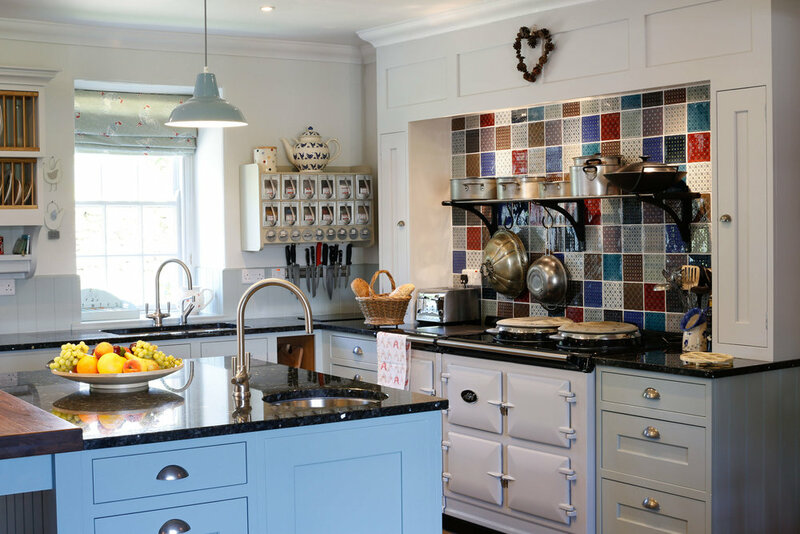 Every Countryside Kitchen is designed and tailor built specifically to our clients vision. We help them bring that vision to life with our 40 years experience and the end result is always the same, a beautiful handmade kitchen that marries functionality and aesthetics. 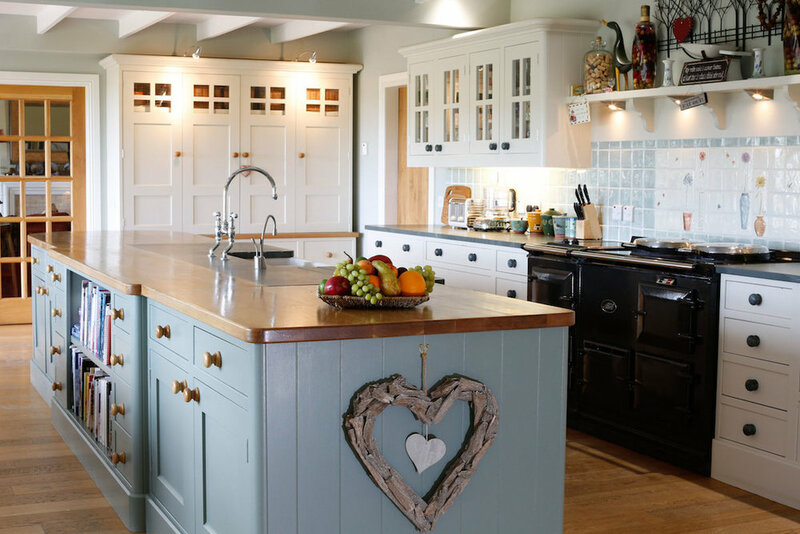 Browse our finished handmade kitchens below and get in touch to discuss how we can help bring your vision to life. Every piece of furniture starts with a raw piece of wood or sheet material. Our expert cabinet makers transform these into bespoke pieces of furniture . Please see below the key ingredients on how our highest quality kitchens set us apart from our competitors. Our motto at countryside is if it can be drawn - it can be made. Any size or shape of furniture can be commissioned, exactly the way you envision. We work with all quality woods, from Oak, Maple, Pine, Walnut, Beech. Our most common range of kitchen is our Hand painted Shaker which is mainly produced from a non grain poplar called tulip wood. Our expert craftsmen are all time served joiners with high attention to detail. 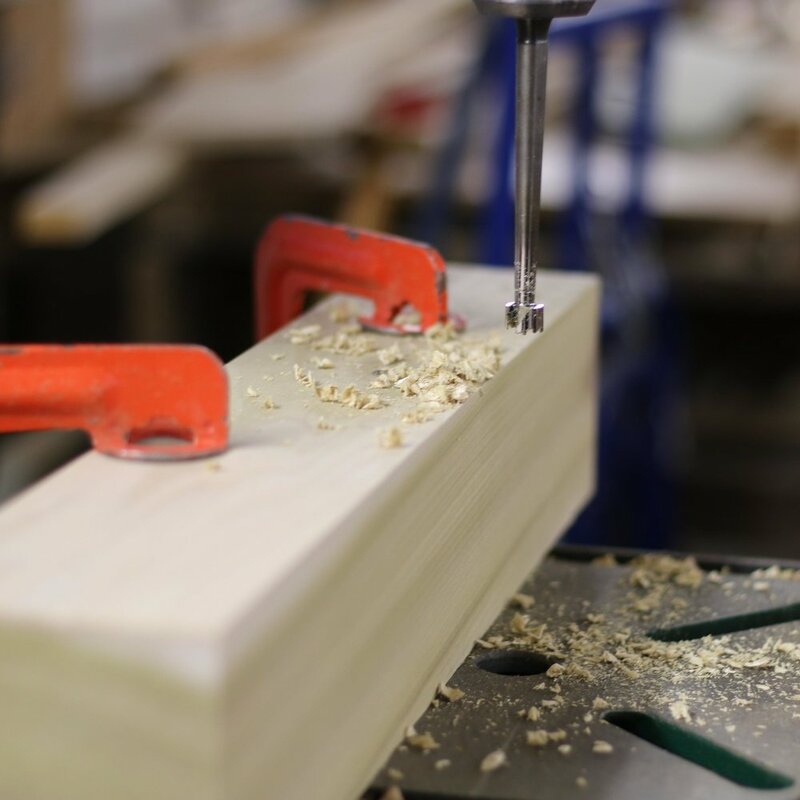 All our doors and frames are 30mm thick solid wood which sets us apart from a lot of our competitors who are supplying furniture with 22mm thick doors and made solely from MDF. All drawer boxes are made from solid wood with traditional dovetail joints. These are then mounted on exquisite soft close drawer runners. Painted furniture is supplied primed to be painted a colour of your choice on site. Being bespoke we have the ability for our designer Shona Ponder to create timeless pieces of furniture for any room in the home. Whether it be a side table for the hall or a pantry for your kitchen we have it in hand. We designed this handmade kitchen always focussing on the clients want to open up the space. We completely reversed the kitchen to give access through French doors onto the garden and patio, with the main sink now also facing the lovely garden view. This handmade kitchen was hand built seven years ago, and it has stood the test of time. On this project we also fitted ceiling beams for a ‘country cottage’ feel, using soft Farrow & Ball colours to make the most of the wonderful light. Everyone wants to know how much a bespoke handmade kitchen costs. Until we have taken your brief and a site survey we cant accurately give an estimate for a handmade kitchen. If you are interested in finding out more please fill out the form below. Lets discuss your handmade kitchen project and understand your needs. Complete the form below and we will get right back to you.